Our most popular cricket top dressing GOSTD 125 is a high clay content loam, with excellent binding qualities. A specially produced top dressing for the finest quality wickets, to provide and maintain a fast pacey surface with good bounce. GOSTD 125 is custom blended to exacting standards through 4mm woven screens to ensure the best possible quality material for your cricket square. 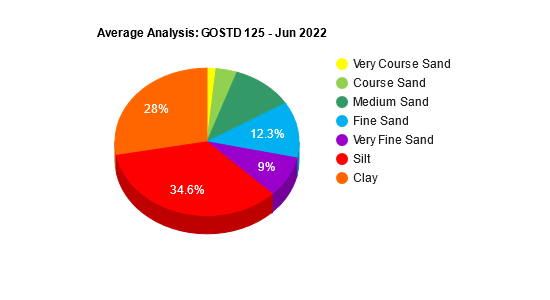 GOSTD 125 has proved its worth for over 30 years in the successful preparation of an ever increasing number of the country's finest cricket squares. GOSTD 125 is naturally free draining and provides good seed germination. GOSTD 125 has an impressive supply of the available nutrients which are necessary for excellent grass growth. GOSTD 125 Cricket Wicket Top Dressing can be supplied in 20kg bags for safe easy handling or in our 1TN bulk bags.